my bare cupboard: Matcha financiers "
The list below is the full recipe . I made half of it and used a mini muffin pan , baked them for 9 minutes and 30 seconds . I don't have a pastry flour so I just used cake flour . I was planning to top it with fresh raspberries but the price is not worth it . This is one of the easiest French goodies anyone can bake . 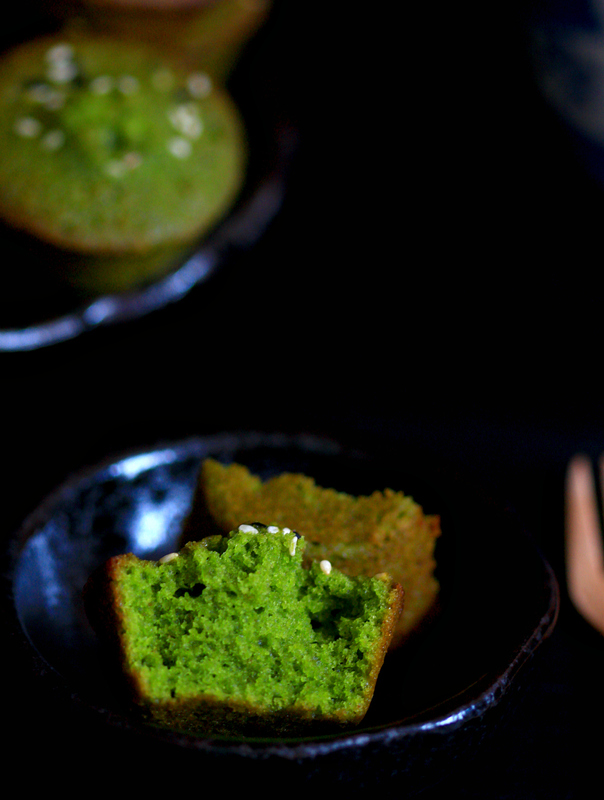 Rich , buttery yet light in texture and with delightful matcha flavor this cake is pretty fantastic ! * Preheat over to 220°C . Lightly grease 16 small oval-shaped cake moulds , each about 5.5 x 7.5-cm . * Sift flour , matcha powder , cornstarch and baking powder togrther twice . * Beat egg whites lightly . Add in sugar and mix well , followed by ground almonds , flour mixture and salt , mixing well after each addition . Be careful not to overmix , set aside . * Prepare an ice water bath . * In a small saucepan , cook butter over medium-low heat , whisking frequently until fragrant and golden brown in color . Pour into a mixing bowl and place bowl into an ice water bath to stop butter from cooking further and burning . * Add browned butter to egg white mixture and mix well . 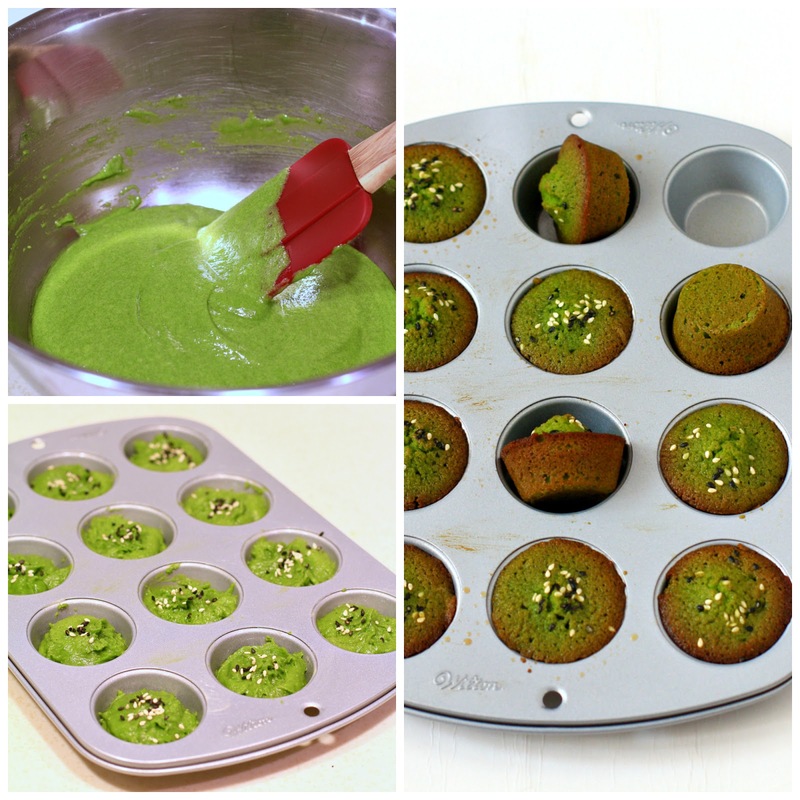 You can either transfer the batter to a piping bag and pipe batter into the prepared moulds or use a spoon . * Bake financiers for 10-15 minutes or until they are light golden in color . Remove the cakes the from moulds and cool on a wire rack before serving . * Financiers will keep in an airtight container at room temperature for up to 5 days or up to 1 month in the freezer . 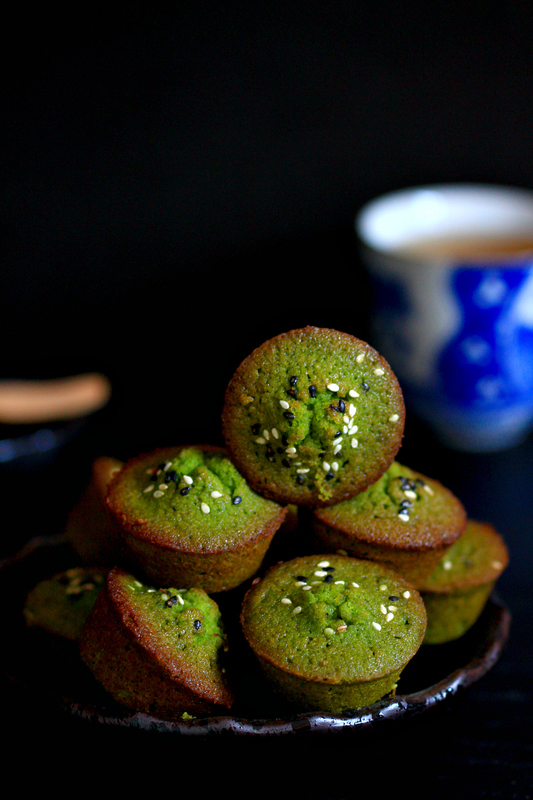 They look so gorgeous with matcha colour, Anne.